Don't Tell is the one Australian movie every woman and man should see this year. Don't Tell is the one Australian movie every woman - and man - should see this year. 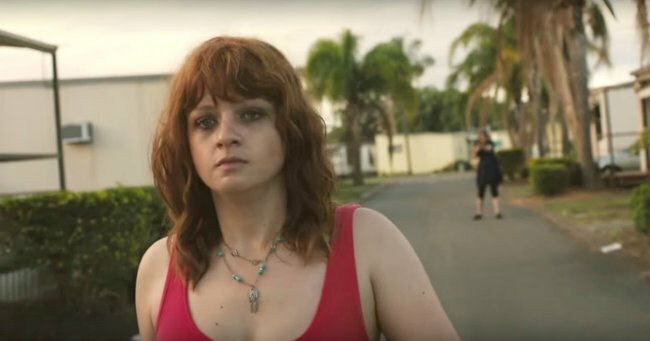 Don’t Tell is a powerful film about sexual abuse, victim blaming and a world so caught up in preserving reputations that it ignores people who need help the most. There are times during this brilliant Australian-made film where you’ll want to turn away, because the images appearing on screen can be an intense movie-going experience. But missing even a moment of this movie would be an injustice and a mistake. Because this story really happened, right here in our own backyard, and this is a tale that needs to be told. The film is based on lawyer Stephen Roche’s book Don’t Tell and tells the true story of Lyndal (Sara West), a young woman who is suffering from post-traumatic stress disorder as a result of the prolonged sexual abuse she suffered as a 12 year old, all while attending the prestigious Toowoomba Prep School. The abuse was at the hands of boarding master, Kevin Guy (Gyton Grantley). Don&apos;t Tell is the movie every Australian should see. Don&apos;t Tell pulls no punches in its first moments. The film opens straight onto a scene where Lyndal, now aged 21, is engaged in a sexual relationship with a married man. She is only just able to flee the place she had been calling home as gun shots ring out behind her. With nowhere else left to turn, Lyndal returns to her parents in a rural town in Northern NSW. From there, she makes her way back to Toowoomba, a town she hasn&apos;t been back to in 11 years, and decides to seek counsel from Toowoomba lawyer Stephen Roche (Aden Young). Lyndal has been estranged from her family for many years, but now the clock is ticking, as there is only a small window of time left to bring her case to trial before she turns 22 and her chance is gone forever. Throughout the film, the story is told through slow, almost nightmarish flashbacks to Lyndal&apos;s childhood - in stark contrast to the brutal present-day moments in the courtroom. Rachel Griffiths joins the phenomenal cast of Don&apos;t Tell. We see how she is groomed, stalked and assaulted by a man in power at her school, how she tries to ask for help and how her parents, not understanding the situation, send her back into the arms of a predator. In the present day, a broken Lyndal turns down huge sums of money in order to take the matter to trial. This proves especially difficult for her because she and her team must not just prove that the abuse happened, in order to win they must convince a jury that the school knew it was taking place and did nothing to prevent it. This story thread is what makes the very existence of this film so important and compelling. This is not about money or compensation - it&apos;s about a terrible truth that was hidden and needs to be told. It&apos;s about victims having the chance to have their words heard and an institution admitting they were wrong. Sara West as Lyndal in Don&apos;t Tell. In reality, the series of true life events chronicled in the film are just as harrowing to unravel as they appear in the film. The real Lyndal took on a legal battle and won against Toowoomba Preparatory School in 2001, after she was sexually abused in 1990. It was this groundbreaking civil court decision that was the catalyst for improved childcare safeguards in Queensland. 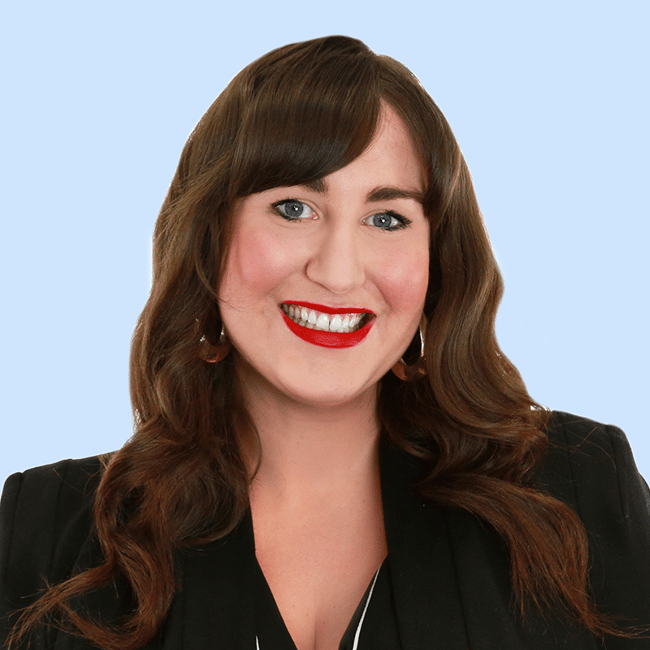 Shine Lawyers National Legal Partner Jodie Willey was just 21 years old when she came onto the the case as lead lawyer, a case which saw Blue Cards (a prevention and monitoring system for people working with children and young people) introduced in Queensland. The case also paved the way for a multitude of survivors to come forward and share their own stories. One of the most outstanding aspects of Don&apos;t Tell are the performances turned in by the phenomenal Australian cast. Susie Porter and Martin Sacks speak volumes in their portrayals of Lyndal&apos;s parents, even when no dialogue is written for them in the scene. Rachel Griffiths, Jacqueline McKenzie and Longmire&apos;s Robert Taylor also round out the excellent cast. Susie Porter as Lyndal&apos;s mother in Don&apos;t Tell. But it&apos;s Sara West as Lyndal, who is a revelation. Through her heartbreaking performance, you get the feeling she is not just telling Lyndal&apos;s story, but giving a voice to the thousand of sexual abuse survivors across Australia who have struggled down a similar path. Yes, you could find out the facts of this case by reading the news articles or the book, but it cannot be denied that films have an extra edge when it comes to getting the magnitude of emotion from a story like this across. The film is sure to strike a chord with Australian audiences, and it has already started collecting accolades overseas, having picked up the prestigious Audience Award for Best Feature Film at this Year’s Newport Beach Film Festival in California. Don&apos;t Tell cleverly weaves together emotion and facts to capture a pivotal moment in Australian history. It&apos;s a movie every man and woman in Australia should watch, because it does what great movies do best, opening up a real conversation through watching the story come to life on screen. For every little girl (and boy) across Australia who has been forced to walk down a similar path, I hope Don&apos;t Tell gives a voice to their pain. And hopefully it helps future generations of survivors to know that their stories also deserve to be told. Don&apos;t Tell will be released 18 May 2017.